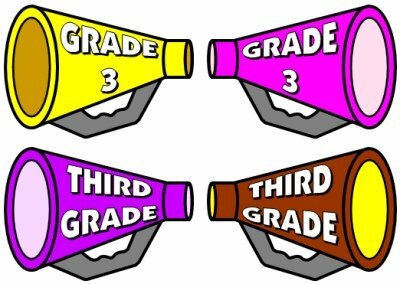 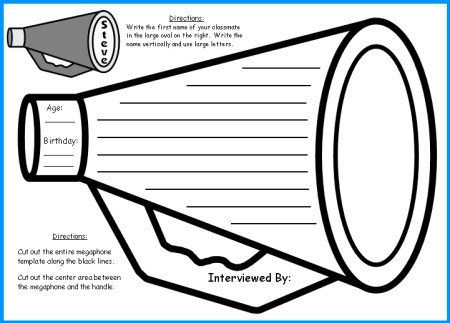 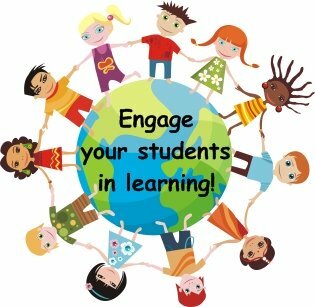 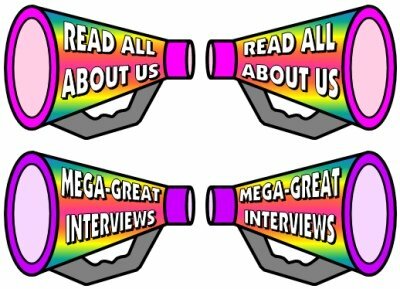 Classmate Interview Megaphone Templates fun Back To School lesson plans and ideas. 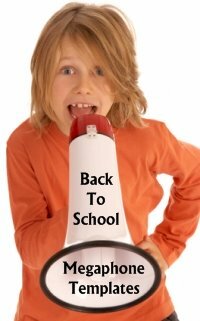 This set of Back To School teaching resources also includes a colorful circus themed bulletin board banner and additional megaphone accent pieces. 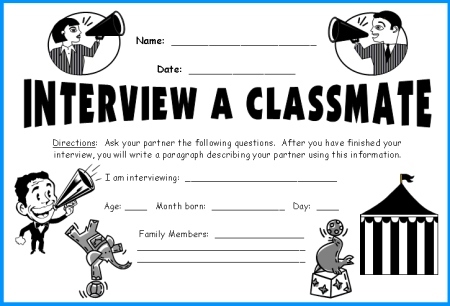 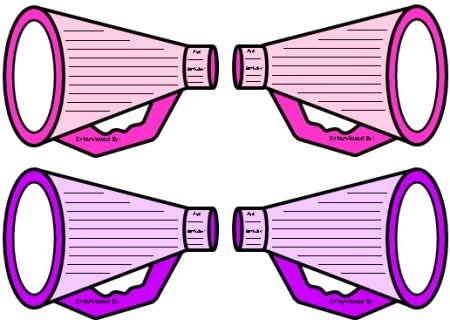 The classmate interview megaphone templates are on one worksheet and they are easy to cut out. 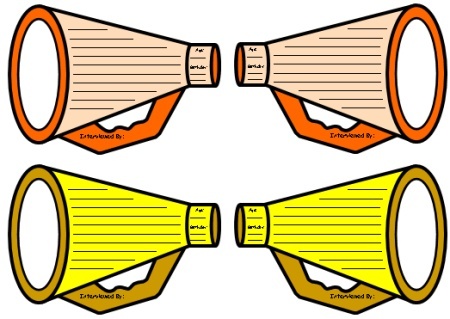 These templates measure 10 inches in width and 6.5 inches in height. 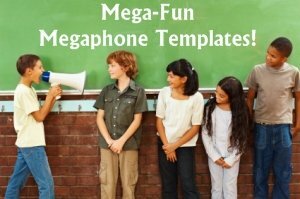 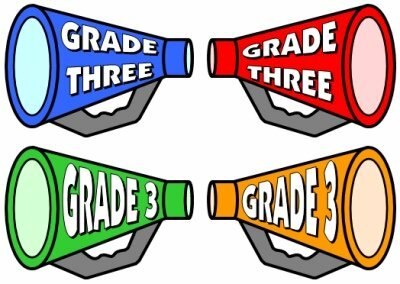 After your students have edited and revised their first drafts, you should give them their final draft megaphone templates. 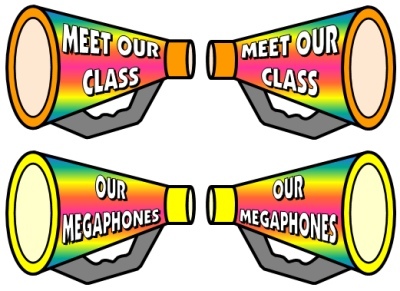 The megaphone template is on one printable worksheet and has thick borders, which makes it easy for students to cut out the templates themselves. The area between the megaphone and the handle should also be cut out. 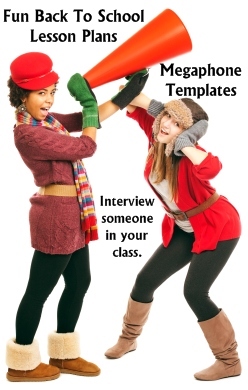 Since this is a bit tricky for some students, I cut this area out myself for my students before I give them their final draft megaphone templates. 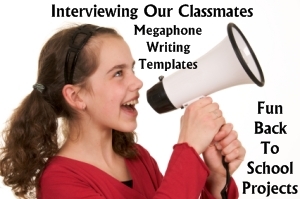 In order to give the finished bulletin board display of these projects more variety, I have designed classmate interview megaphone templates that face left and right. 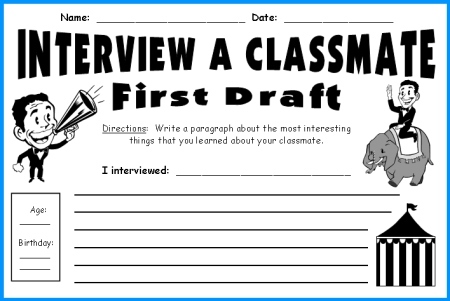 I give half of my class left templates and the other half right templates. 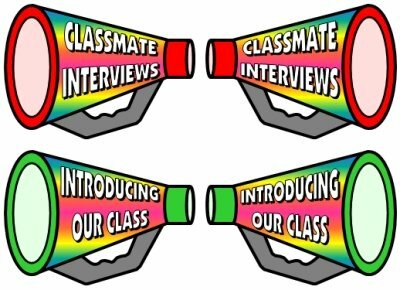 Below are examples of the final draft classmate interview megaphone templates. 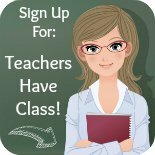 templates included in this set of Back To School teaching resources. 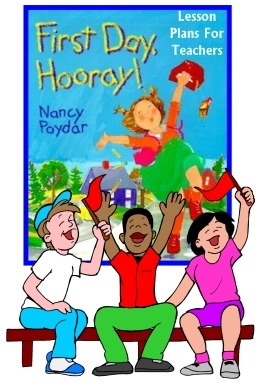 I have created specifically to go along with this cute back to school picture book. 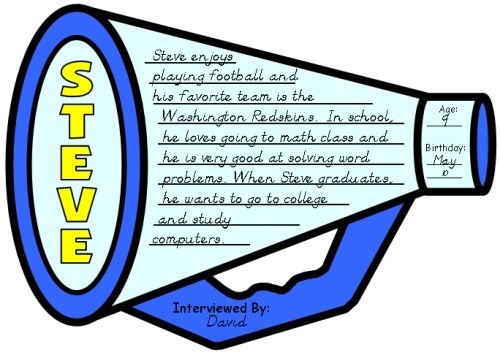 to view the lesson plans that I have created for this Back to School read aloud book. 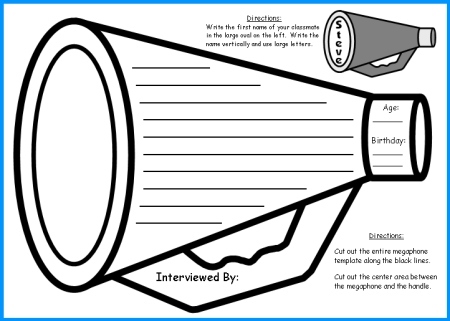 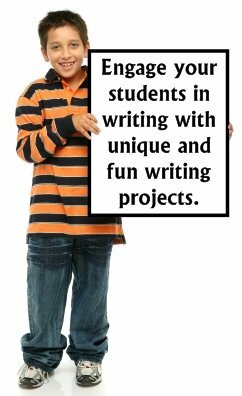 Megaphone Templates creative writing page.